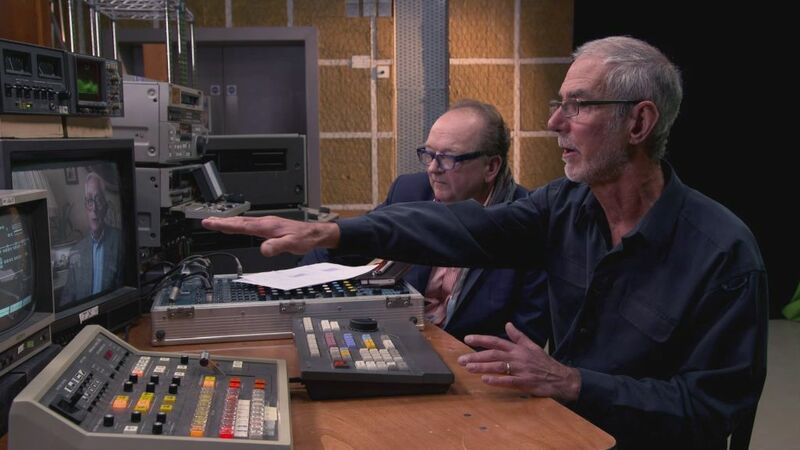 In this series of videos, editor Ross Archer and producer Michael Proudfoot recall how editing technologies have changed during their careers, and how editors and producers would work together to assemble and refine television programmes. Ross Archer recalls starting his career editing programmes like Playschool on 2-inch videotape recorders, making only a handful of cuts per episode. By the time Betacam edit suites with more complex edit controllers arrived he was doing more complex work, preparing material for broadcast as part of Ski Sunday. For the first time in more than ten years, Ross Archer uses an edit controller connected to Betacam videotape recorders and a vision mixer. He demonstrates the technique of marking in- and out-points using the edit controller, and then previewing the results before committing to the edit. Michael Proudfoot describes the process of writing a rough, or “scratch”, commentary to narrate the documentary programme he is producing. He does this while Ross is working on assembling the basic building blocks of the sequence. In this way, two creative production jobs are taking place simultaneously in the edit suite. Michael Proudfoot discusses the difference between planning a shoot which used film, and planning a film which used videotape. By the 1980s, film was a scarcer and more expensive format than videotape. This enabled programme-makers to record longer and more free-flowing interviews. On the other hand, the accumulated volume of video rushes could pose a challenge to editors like Ross Archer who had to make sense of them. 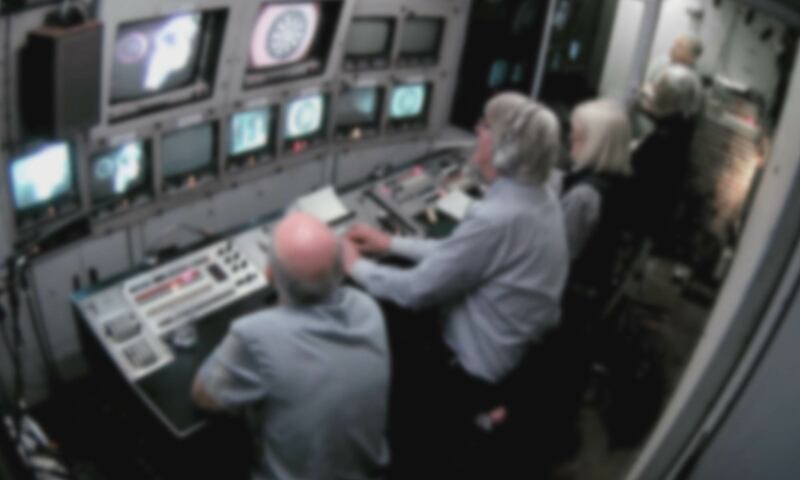 These clips are drawn from a longer video sequence showing Ross Archer and Michael Proudfoot recalling and rediscovering the working practices of the Betacam edit suite. Use the player below to watch the full version of Michael and Ross’s session with the Betacam equipment (26 minutes).